In an era where nearly everything moveable, measurable, and monitorable, location has become a crucial component of the Internet of Things. The buzz about the Internet of Things (IoT) is everywhere. You know the IoT: the notion of an always-aware network of sensors found in interconnected devices. Typically these sensors capture identity, status, and other relevant information. But for what value? Having a sensor alerting you to a device-based problem is no good—unless you know where to send a repair person. If a sensor alerts you to your colleague in trouble, it would be nice to know where to send help. Location is a crucial component of the IoT, and geography gives the IoT its actionable value. 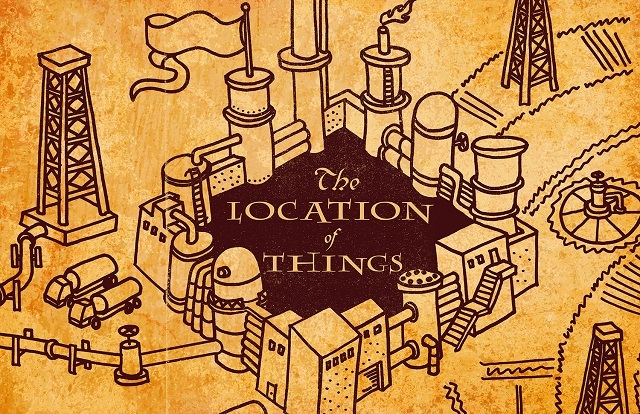 That’s why I get even more excited about another new buzz phrase: The Location of Things. Think about the Location of Things in the context of pipelines and gas utilities. These are classic examples of fundamentally geographic businesses. Pipe-network assets and customers are distributed across service territories. These could span hundreds to thousands of square miles. As a result, employees and contractors often work far from headquarters in depots, remote offices, and the field. They are all somewhere, sometimes moving. In this real-world utility application, location becomes critically important. While network assets themselves are fixed, utilities are not static businesses. They are very much alive. Changes occur always. And sometimes, changes occur rapidly. Moreover, field crews more frequently move from one assignment to another. Knowing the developments within and around a pipe network remains essential to those responsible for ensuring performance runs as expected. Meanwhile, decision-makers and activity planners need to factor real-time operating conditions and workforce locations into their considerations. So pipelines and gas utilities collect data in as close to real-time as possible. They need three information types, mainly. Let’s call them the three MMMs: Movement, measurement, monitoring. If an asset moves, can be measured, or needs monitoring, rest assured someone needs to know the latest information about it. Fans of Harry Potter will undoubtedly have thought of the Marauder’s Map by now. The Marauder’s Map was a magical map. It showed almost every castle and grounds feature, and when the possessor of the Homonculous Charm cast the spell upon the map, movements of every person in the mapped area came to life through labeled dots moving around the map in real-time. The magic of the Marauder’s Map is make believe. Except that Esri and its utility customers have made such maps for real. Making real-time maps possible starts with deploying a range of technologies that collect data. This includes sensor networks (to stream remotely monitored data constantly to the control center), Automatic Vehicle Location (AVL) technology outfitted on their service fleet, and a host of more sensors streaming data 24 hours a day, 365 days a year. Today, Esri’s location platform consumes all that streamed-in data from inside and outside the organization, displays it on a dynamic multilayered map, and empowers utility workers to act on real-time information through an intuitive map interface. Esri’s ArcGIS is the ultimate integration and collaboration-fostering platform. It builds Marauder’s Maps for utilities and other organizations. However unlike in Harry Potter, where the possessor needed the map and the Homonculous Charm, the ArcGIS platform can bring mapped data to life for all employees, all contractors, all partners, and even the public. Utilities can choose who makes, uses, and shares your living maps. It was just ten years ago that Google acquired a technology created by two Danish brothers, Lars and Jens Rasmussen. The brothers’ technology formed the basis of Google Maps and enabled all of us in our personal lives to begin using digital maps. Today, virtually everyone uses maps as an integral part of everyday life. And, as we know, what we do in our personal lives informs what we want to do in our professional lives. How we leverage maps intuitively in our personal lives, therefore, fuels the current push for mapping in our modern workplace. For years, a small number of GIS professionals had tended to the first mapping applications, known as Automated Mapping / Facilities Management (AM/FM). Thankfully, real-time-GIS advocates in the pipeline and gas industries asked for a stronger geographic system. Utilities still face many challenges before the Location of Things reaches its full potential. Among these are the sheer volumes of data and speed with which data change occurs. As sensors and other automated data-collecting systems feed data constantly into our servers, we wind up with big data. It’s aptly named. And big data demands smarter solutions that empower decision-makers to make sense of all this data in ever-shrinking cycles of analysis and decision-making. GIS plays a huge role in meeting this challenge. Maps have long enabled smart people to spot trends, patterns, and answers better than nonspatial formats (e.g., tabular data). Now, a powerful enterprise approach to GIS is ready to solve even more problems. Together, pipeline and gas professionals along with Esri solution engineers are opening a new era of real-time GIS. This era stands on a momentum generated by significant progress made the past few years. Stay tuned to see how the Location of Things—that growing collection of device-based sensors that tracks everything moveable, measurable, and monitorable—can make an even greater contribution to the success of pipeline and gas utilities and those they serve.